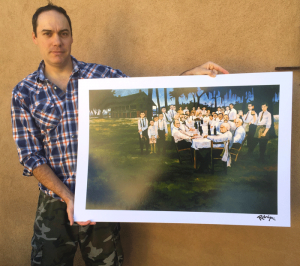 André Rodrigue shows the Aioli Dinner print. 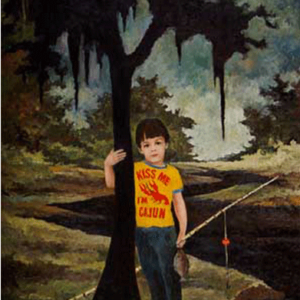 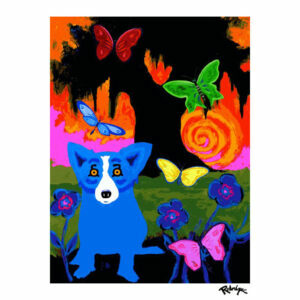 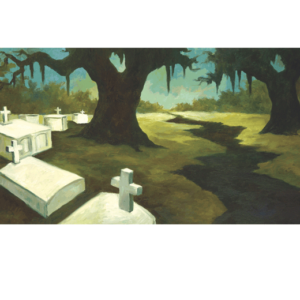 Probably his most famous Cajun painting, the Aioli Dinner (1971, 32×46 inches) is George Rodrigue’s first painting with people. 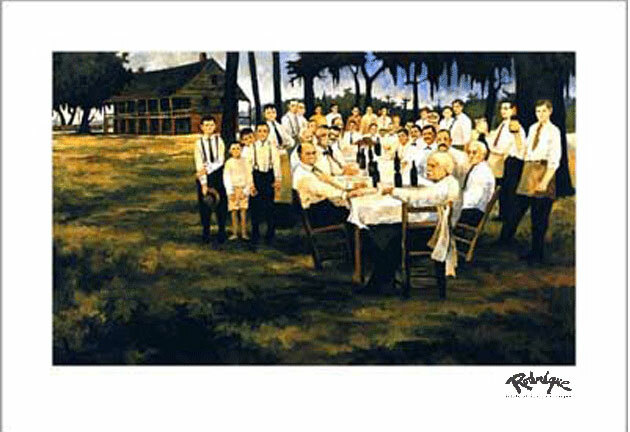 It is based on the old Creole Gourmet Societies, in their heyday between 1890 and 1920 when they met each month on the lawn of a different plantation home in and around New Iberia, Louisiana.